Steve McQueen’s third feature film brings us an honest display of the American slave trade, but is it too brutal? Solomon Northup, a wealthy and distinguished free black man from upstate New York travels out of state and is captured by slave traders. On a journey that will last 12 years he must endure, ignore and serve the masters he is sold to. As with McQueen’s previous two directorial outings, Hunger and Shame, 12 Years a Slave is entirely bleak, with the exception of the first few minutes of Northup happily living life with his family. But this film’s story is much grander than his previous films and brilliantly makes use of his small-scale approach: the film lingers on anguished faces, long silences and breath taking extended scenes where character subtleties are examined. For example, early in the film, Northup is hung with a noose so that he can tip toe on the ground to keep from choking. This scene is left rolling for a couple of minutes with him struggling to keep his feet on the floor until the sun goes down. McQueen makes use of a handful shots and shows the reaction of others, who mostly walk around him or stare. These drawn out scenes are typical of McQueen’s work, creating a good deal of realism as well as tension and discomfort for the viewer. McQueen compliments his style by providing a large and forever engaging cast who are largely to thank for the raw energy of the film despite its bare bones approach. This achievement is lead by Chiwetel Ejiofor, who gives Northup a strong manly persona that is shown to break down throughout his servitude with a humbling desperation; Ejiofor gives enough subtly in heart breaking facial expressions to please the close ups McQueen adores. In his third collaboration with McQueen, Michael Fassbender, as a plantation owner, gives a startling performance as a vicious and confused slave beater and is easily one of his best roles to date. However the use of Hollywood mega-star, Brad Pitt in a small role towards the end of the film almost removes McQueen’s obsessive desire to create realism as he never gets enough screen time to shake off his stardom, and as a result could remove some viewers from the captivating story itself. McQueen’s use of violence also matches the excess he has displayed in his previous films resulting in entirely honest and raw moments. One of the more disturbing uses of this is when a slave girl is whipped repeatedly, but this isn’t simply whipping and screaming. This is a gruesomely extended scene with the debating of who will do the whipping, blood exploding off her back and huge cuts being made before your eyes. Although horrific, these scenes really draw attention to the event, the white overseers and the ugly history of slavery in America. 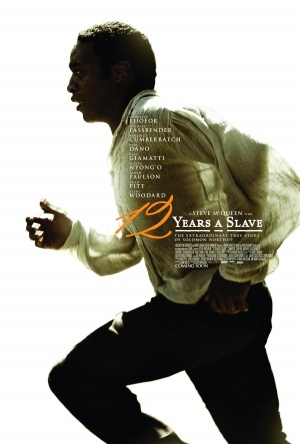 12 Years a Slave continues Steve McQueen’s vividly stark exploration into the human psyche, but this film steps up his performance ten fold with a much larger cast and epic story that is executed with relentless honesty. This will be one to watch at the Oscars.